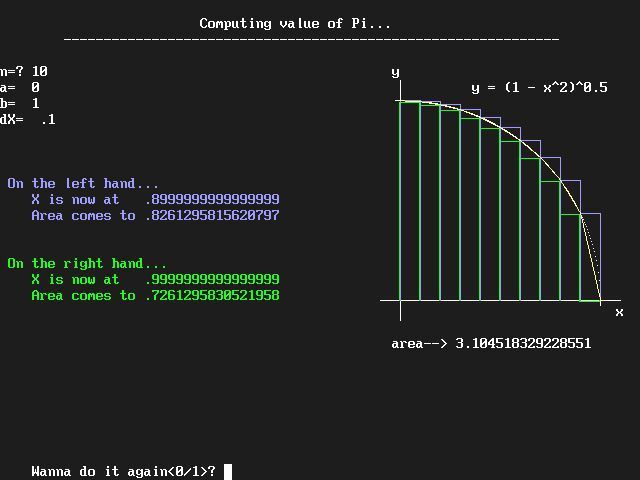 We all learned to write code to calculate the value of pi, a nice way to burn some cycles. But the lesson here was raw processing power or even efficient code is nothing compared to a good algorithm. The choice of equation will make the task a magnitude harder or easier. So the story was, as an exercise, we were asked by our calculus professor to write a program that will calculate the value of pi. Whoever had the most digits at the end of the week wins. Didn't have a C++ complier at the time on my machine, so wrote this qbasic code shown here which survived to this day via found backups. The actual code I used for the homework was indeed in C++ (sadly not available now) and the clever part (I thought at the time, but in fact NOT) was that I used gcc running on the University's mail server instead of my home machine, which is the approach of more hardware cycle vs. better algorithm. Lesson learned. PRINT " Computing value of Pi..."
Yes, BASIC. 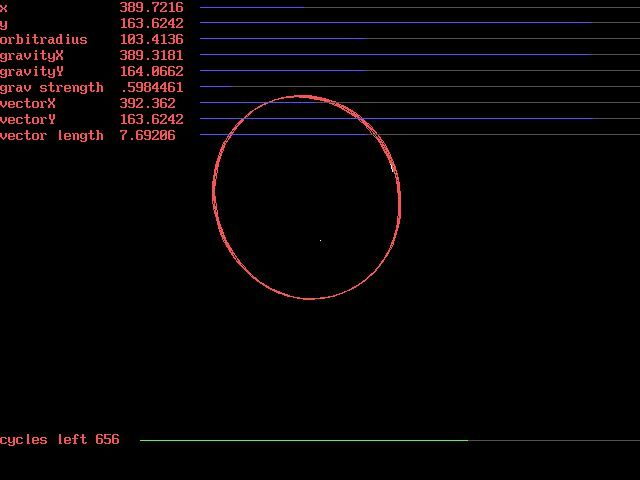 I am that old and unshamed now, that young and simple then, but when I saw the Satellite Orbit Simulator, the geek in me had to have it. When I can't find it to buy, I had to write it. A C++ complier wasn't free back then on a Wintel PC, which is what I have besides the Tandy Color Computer III, so QBasic was what I have to use.